PICK OF THE MONTH: Benson's Cuckoos by Anouk Ricard, Drawn and Quarterly: Debuting at ELCAF (East London Comics Arts Festival) this weekend, Benson's Cuckoos marks the first of Ricard's adult works to be translated into English; the third volume of blog-favourite, the popular Anna and Froga children's series, will releases later in July. 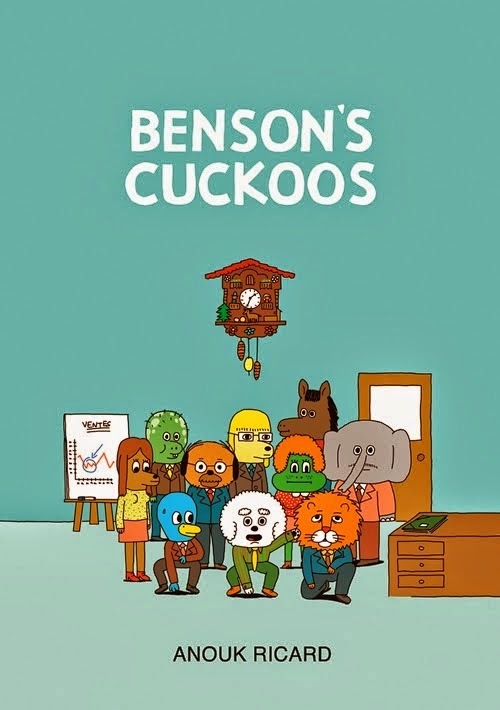 Benson's Cuckoo's promises to apply Ricard's unique sardonic humour aesthetic to the world of the office workplace, where new guy Richard starts a job at the cuckoo-clock factory, only to find things a little off-kilter: from his eccentric, headwear-loving boss, the strangeness of his evasive colleagues who don't actually seem to do any work, to the problem of George, the former employee whose position he's filling, and whose family are now appealing on national TV about his disappearance. All of which doesn't bode well for the upcoming office retreat... I've been really looking forward to this- I'm a fan of Ricard's anyway, but I like the way she seems to have made her anthropomorphic cartooning brighter and more emphatic to offset the ridiculous nature of people and events here- if you're looking to take a chance on anything this month, make it this book. Fish by Bianca Bagnerelli, Nobrow Press: I previewed Fish as a book to look out for in this piece last month, and in what is shaping up to be another incredibly strong year for comics, a new book from Italian artist Bianca Bagnarelli is still a noteworthy release. I was lucky enough to read an advance PDF of this story about Milo, a young boy attempting to understand the nature of life and death after losing both his parents in an accident the previous summer, and it surprised, satisfied, and reassured me. While there is no denying the utter beauty of Bagnarelli's art, I was struck by her commitment to her story choices: uncompromising and truthful, yet not without hope, lending her narrative a considerable strength. A sublime piece of work. 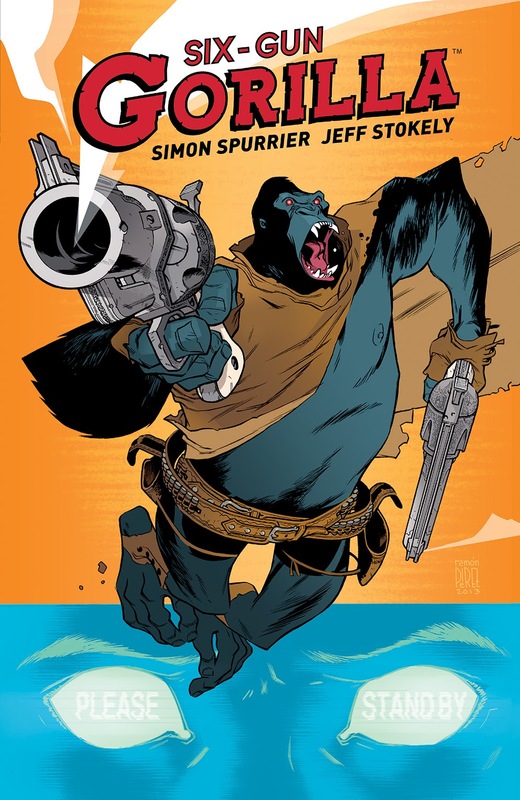 Six-Gun Gorilla by Jeff Stokely and Si Spurrier, Boom! : I missed Stokely and Spurrier's mini-series in issue format, but it garnered a fair deal of praise, enough for me to ear-mark it as one to pick up in collected guise. I'm a fan of Stokely's art- I follow his Tumblr where he posts pretty regularly, but I've never seen him illustrate a book. This sci-fi tale set in 'the Blister,' a rich, much-contested, other-world colonised by humans once Earths resources were exhausted. It's in this wild-west environment of civil war that and myriads of curiosities that a lone gunslinger and his side-kick traverse- the lone gunlinger being a bio-surgically modified silverback gorilla who's a dab hand at shooting. Sounds fun. 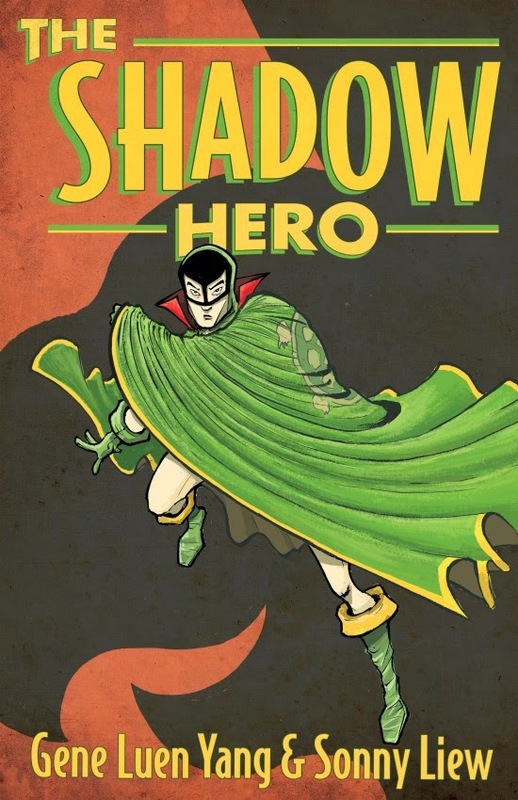 The Shadow Hero by Sonny Liew and Gene Yang, First Second: Liew and Yang's re-working of the short-lived 1940's comic Green Turtle, America's first Asian superhero, has been serialising digitally first and this month receives a complete print release. Originally created by Chu Hing, one of the first Chinese American comic creators, Gene Luen Yang has revived the character, creating an origin story for a forgotten, and important, hero: 'Hank just wants to enjoy his quiet life running the family grocery store with his father, but his mother wants him to become a superhero, and to clean up their Chinatown neighbourhood.' You can't ask for a much more stellar couple of collaborators than Yang and Liew, really. Whispers by Joshua Luna, Image: The Luna brothers always put out interesting, readable work, whether working together or on independent ventures. 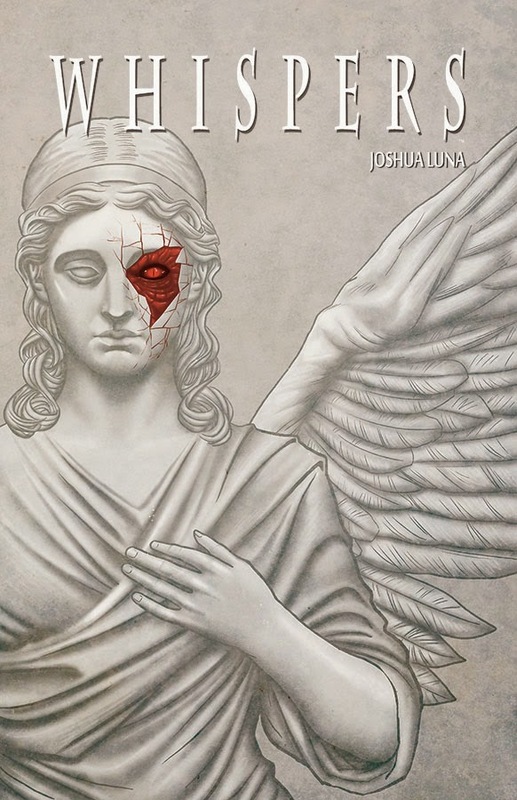 Currently, each has a solo series with Image- Jonathan with the sci-fi man/robot story, Alex and Ada (which I've been picking up in issues), and Joshua with the more supernatural, horror-leaning Whispers, which is published in trade paperback this month and revolves around a mentally troubled man who suddenly discovers he has the ability to leave his physical body in 'ghost' form and manipulate others in unusual ways. 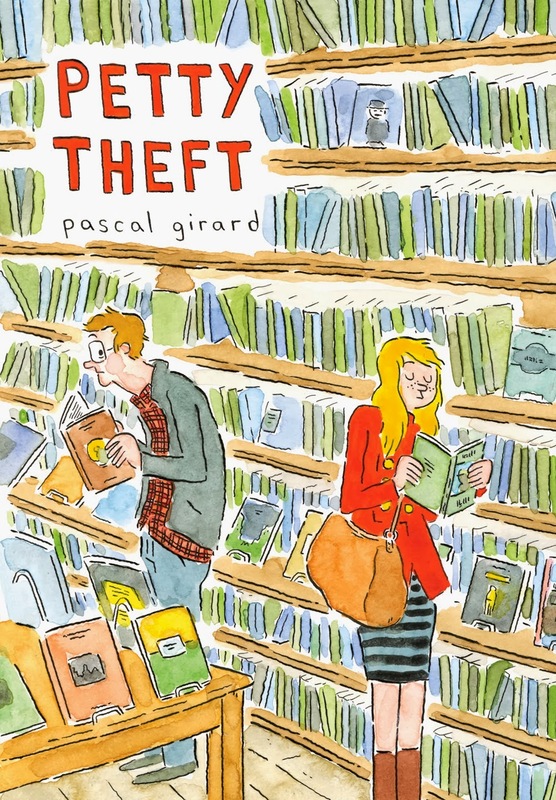 Petty Theft by Pascal Girard, Drawn and Quarterly: I always enjoy Pascal Girard's quasi biographical tales, mostly because I simply like looking at his art so much: the deliberate, fine, nervous tremor of the lines that perfectly articulates his humour and tone. Petty Theft finds Pascal unemployed, having just come out of a long-term relationship, and looking for distraction, which he finds in reading. It seems to be working, until he visits the bookshop one day and spies a woman stealing a book he's penned. And so begins a new kind of distraction, as a determined Pascal tries to figure out who the lady is and why she's stealing books. 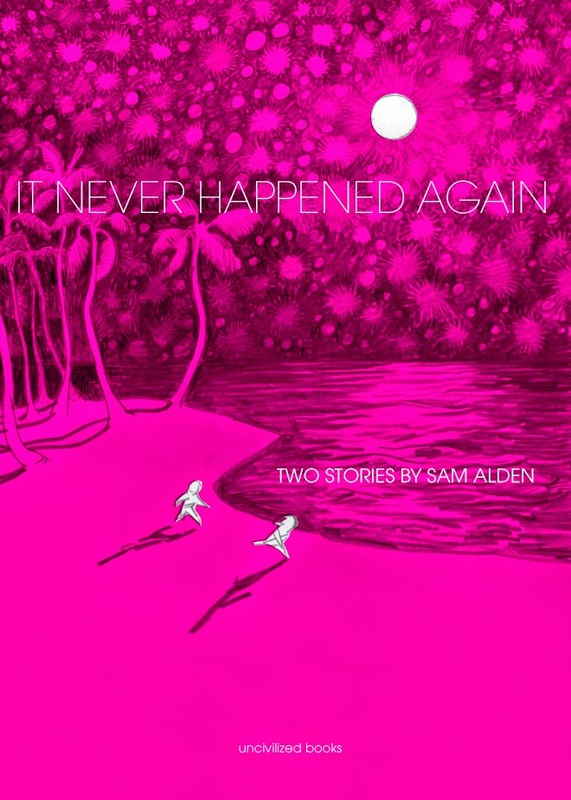 It Never Happened Again by Sam Alden, Uncivilized Books: An opportunity to get some of Sam Alden's -currently one of the finest young cartoonists around- work in print. 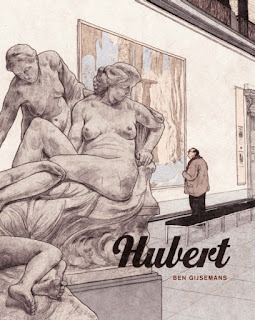 Alden's pretty prolific and most of his work can be read for free in its entirety online, although he does produce small print runs of comics for various conventions, this marks the first sort of widely available publication in his oeuvre. It Never Happened again collects 2 stories- one old, and one new- Hawaii 1997, and Anime. The first captures the magic of a nighttime encounter at a Hawaiian resort, while the second explores the complicated dynamics of pop culture obsession.